Chicago is known for their "Chicago Style Hot Dog" and DA Bears. 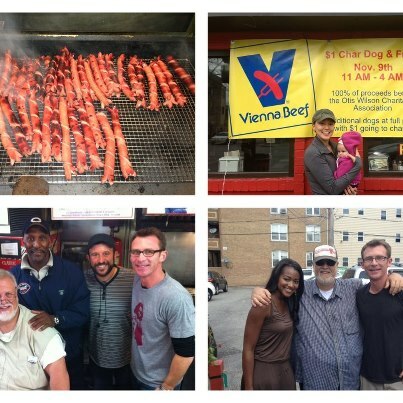 How can I pass up $1 Char dog & fries for a charitable Friday lunch with Chicago's Best hosts?? I am so there! I devoured Phil's Last Stand; it was amazing as always. I love Chicago's Best, I watch it religiously and I always check out the spots that Brittney & Ted feature.